If you’ve ever attempted your favorite Mexican restaurant’s rice at home and failed, raise your hand. Well you can put it down now, because this is my go-to favorite and after one bite, I think it will be yours too. Since first making it, I’ve actually found I like it so much better than the rice usually served when I dine out. No more dumping sour cream, queso, or salsa on my rice trying to give it a flavor boost. Mexican rice always tasted like it had so much potential, but was always just a hair to bland. Not anymore. 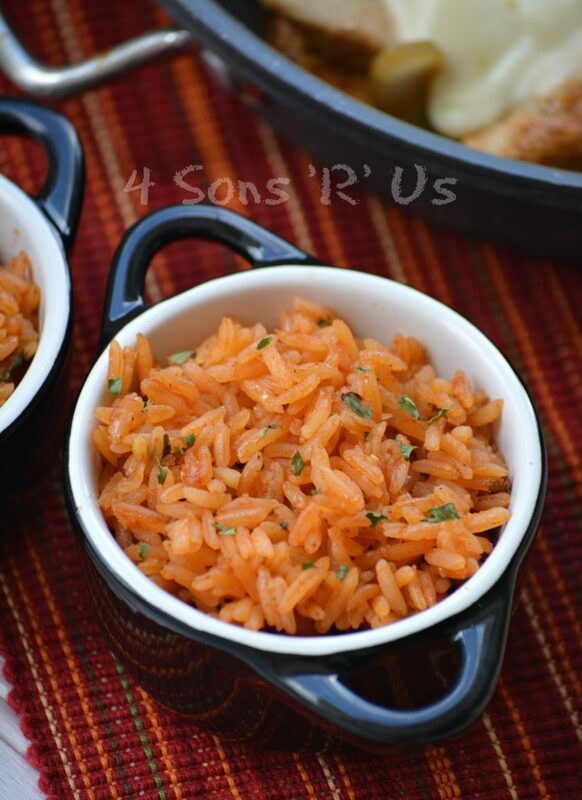 This recipe is for a pilaf style rice with a characteristic reddish/orange color, flavored with onion, garlic, and spices. 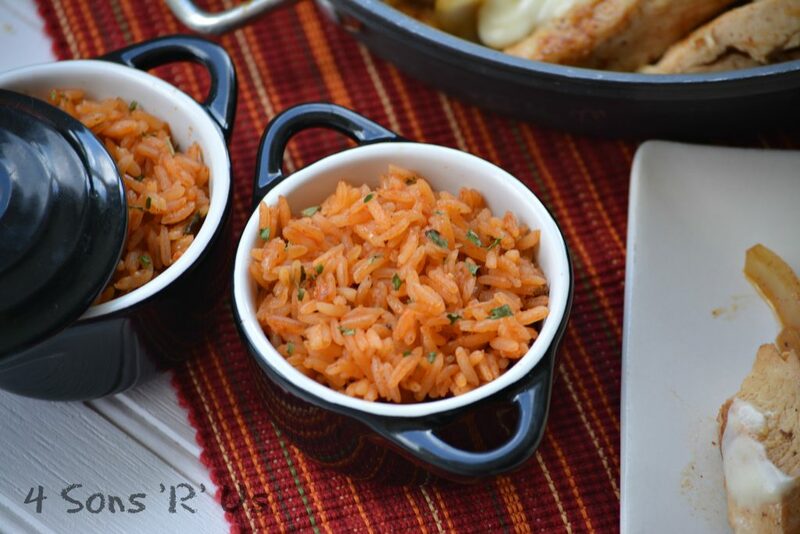 This dish, often known as ‘Spanish’ rice, makes an easy addition and perfect compliment to any Mexican style entree. Tacos for dinner? No? Maybe some fajitas instead? Nope? What about enchiladas? Either way, this here’s your side dish. You can’t go wrong. Did you make a big batch (as is it serves about 4 people) and now you’ve got leftovers? You’re in luck! Not only does this rice still taste just as flavorful the next day, it goes great in a burrito. Is it steak night and you’re out of ideas for sides to serve? Voila! Problem solved. Same goes for chicken 🙂 Feel free to tweak the recipe and play around a bit to make it your own. Notice I don’t claim this recipe is ‘authentic’? It probably isn’t, but it is damn good. 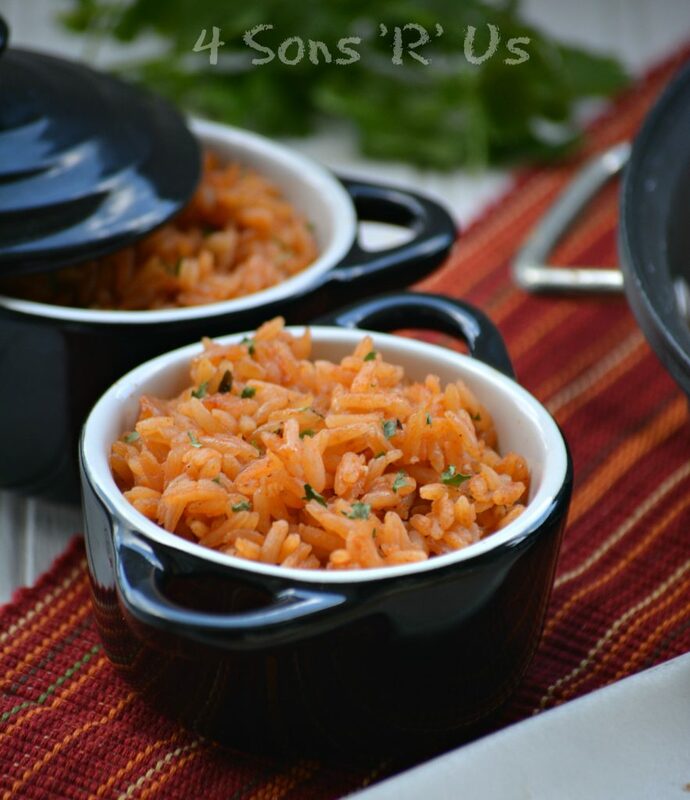 This dish, often known as 'Spanish' rice, makes an easy addition and perfect compliment to any Mexican style entree. In a large skillet, heat the oil over medium heat. 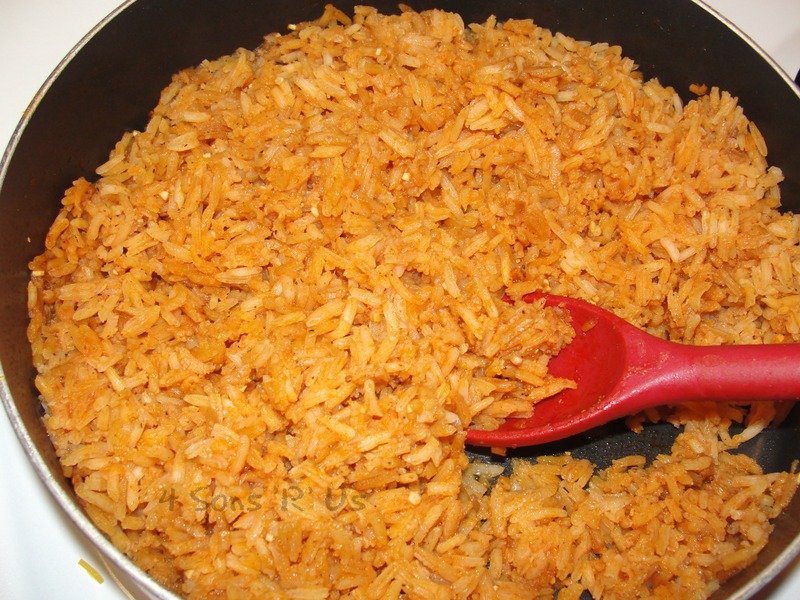 When hot, add the rice and gently stir until rice begins to lightly brown and crisp. Add the garlic, salt, and cumin, stirring until fully incorporated and everything's a nice golden color . Bring the mix to a boil then turn the heat to low and cover. Simmer for 20 to 25 minutes. Remove from heat, fluff with a fork, and enjoy! yum, I love mexican rice, this looks amazing! Now I know exactly what to do with some of the tomato sauce I have frozen from this year’s harvest – and there is a lot. It’s been such a long time since I have made what we used to call Spanish rice, I needed your reminder. And my rice repertoire needed a boost too. Thanks for the inspiration. Hope you and your family have a good weekend. Here I thought this couldn’t be improved upon, but homemade tomato sauce? Yes! I love a trusted side dish that I can make last minute and only have to shop my pantry for a few ingredients. holy smokes this looks amazing – I think it will go really nicely with some grilled meat. bookmarked! It would be a perfect compliment to it! What a great side to any Mexican meal! Great Mexican Flavor in your rice, we will really enjoy it. Thanks so much for sharing this awesome post with Full Plate Thursday and have a great day. Beautiful rice; you’ve done it just perfectly! I love your little pots! Where did you get them?